BOB ABERNETHY, anchor: Now, as we mentioned earlier, Western Christians are celebrating Holy Week and Easter, their most sacred time of the year. In the many special services and observances that take place during Holy Week, music plays a crucial role in setting the mood of the worship and in helping to convey the Easter message. Kim Lawton has our report. CHOIR #1 (singing): Alleluia. Alleluia. Alleluia. Alleluia. Alleluia. KIM LAWTON: Easter is the most important day on the church calendar, and for Christians, the music of the season is central to the celebration. 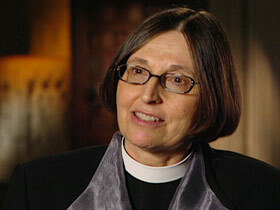 Canon VICTORIA SIROTA (Author, “Preaching to the Choir” and Pastor, The Cathedral Church of Saint John the Divine, New York): The awesome thing about Easter is the way in which it takes what would have been a tremendous tragedy — the death of Jesus on Good Friday — and turns it into the great triumph of God over death. CHOIR #1 (singing): And He shall reign forever and ever. Canon SIROTA: The message is encoded in the music. THOMAS TYLER (Special Assistant to the Pastor for Worship, Shiloh Baptist Church): If there’s anything that’s going to connect to people across any line, any sector, it will be its music. 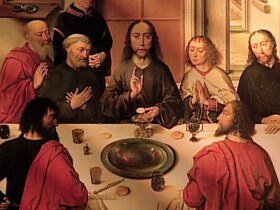 LAWTON: The importance of music stretches back to the first Holy Week, on Thursday, when Jesus celebrated Passover with his disciples at the Last Supper. According to the Gospel story, they sang a hymn together before they parted. Canon SIROTA: We don’t know what hymn it was, but it would have been a Hebrew chant that would have been sung at the Passover table. Knowing that Jesus was a singer and that he sang with his disciples makes you realize how ancient this form is. LAWTON: At Maundy Thursday services, music helps set the mood as Christians begin their annual time of mourning the arrest, prosecution and crucifixion of Jesus. 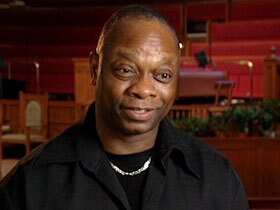 Thomas Tyler is in charge of worship and music at Shiloh Baptist Church in Washington, D.C. He says it’s spiritually important to sing the songs of grief before celebrating Christ’s resurrection. Mr. TYLER: We want to skip over the sorrow. We want to skip over the abandonment and go get our praise on. But, if you don’t remember what he went through, then I feel your appreciation for the significance of that resurrection is marginalized. LAWTON: The most somber practices take place on Good Friday, and the music reflects this. Canon SIROTA: In general, the songs that we sing on Good Friday are longer. They’re slow. They may be in a minor key. They have a sense of suffering, of sorrow, of mourning. LAWTON: At the Episcopal Cathedral of St. John the Divine in New York, Canon Sirota works with organist Tim Brumfield. They say one of the most common Good Friday hymns, “O Sacred Head Now Wounded,” holds complex theological truths. Canon SIROTA: What’s amazing about it is the way the music goes between major and minor, uses dissonance notes, resolves them, there’s this underlying sense of conflict that still needs to be resolved. We Christians are thankful to God for the crucifixion. but on Good Friday we spend the time lamenting the fact that Jesus had to die on our behalf. LAWTON: Another widely sung hymn is “Were You There When They Crucified My Lord?” — an old African-American spiritual. FEMALE PERFORMER (on stage singing): Sometimes it causes me to tremble. Canon SIROTA: It’s a very personal piety: “Sometimes it causes me to tremble.” Well, if you’ve been in profound grief, you know what that is. LAWTON: Although some Easter season music has become universal among Christians, many traditions put the basic theological concepts into their own cultural settings as well. Mr. TYLER: That culture helps to shape who you are and it’s reflected through how you do what you do, how you go through your — in this case — your spiritual practices. LAWTON: Many of the crucifixion songs focus on the blood of Christ, which Christians believe atoned for the sins of the world. Canon SIROTA: The truth of the reality that we are dealing with life and death issues; the idea of blood, which is so horrifying. And when you bleed you are terrified that you are going to die. 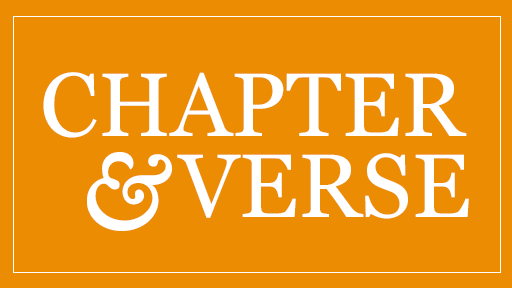 But to use that as a symbol then of new life, it reminds us that the story doesn’t end there, that we end in resurrection. LAWTON: And so comes the great transition to Easter Sunday, from mourning to resurrection. CHOIR #2 (singing): Alleluia. Alleluia. Alleluia. Canon SIROTA: Alleluia is the Latin form of “praise to God.” Hallelujah is the Hebrew form of “praise to God.” So they’re both ecstatic. And I think the sound of it is why we haven’t translated them. Hallelujah — just that sense of almost moving into the non-verbal. Not a translation of praise to God, but “Hallelujah” — that sheer joy, sheer ecstasy. Not only do we use them especially at Easter, but we don’t say them in the Christian Church during Lent. We bury the Alleluias and return them on Easter Sunday. Mr. TYLER: Because it’s the highest praise. It’s the highest praise. And on this day, of all days, he deserves what: the highest praise. CHOIR #3 (singing): Because He lives I can face tomorrow. Canon SIROTA: Because He lives, I can face tomorrow”. And that is a profound theology. 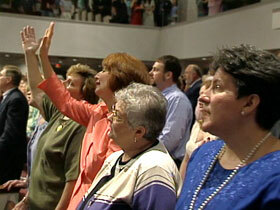 LAWTON: But there are often new Easter songs too. Canon SIROTA: If we stick with all the old music, then somehow there lingers this idea that God is dead. The Holy Spirit in my theology is still moving in the world and is still encouraging us to write new songs. Canon SIROTA: “Jesus Christ is Risen Today” is one of the great Easter hymns. And one of the wonderful features of it is this Alleluia that comes as the refrain of every single line so it has this ecstatic quality of singing with great joy all these notes. Mr. TYLER: We celebrate the “now”-ness of the event, even though the event happened over 2,000 years ago. Each time it occurs it’s a fresh experience — a fresh observation. CHOIR #4 (singing): Alleluia. Alleluia. LAWTON: And the music, they say, is key to conveying that message. I’m Kim Lawton reporting.